2:30AM Rise and shine! Little plane to Seattle, headed the wrong direction, to hop on another little plane to Reno. 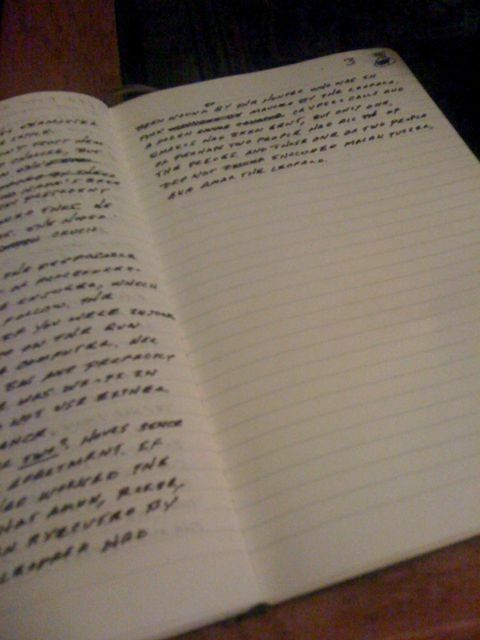 I managed to get in a few pages of IQ on both flights, and during the short layover at SEA-TAC. We were met in Reno by our lovely host, and good friend, Ellen Fockler, who whisked us to the hotel after a stop at an Apple store for Marie to pick up a video adapter for her laptop. 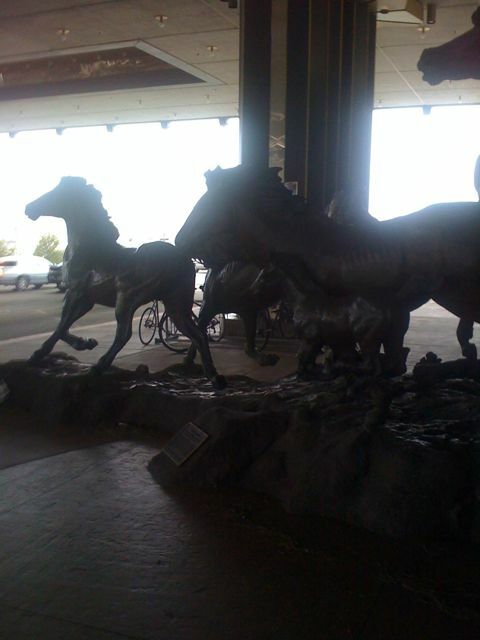 I’ve actually stayed at this casino/hotel and didn’t realize it until I saw the bronze mustangs outside. I was here last year. Arrived around midnight, felt my way to the room, collapsed into an exhausted stupper, and woke up early to visit a school. After a nice lunch with Ellen and Sharon Levin it was naptime before heading over to speak at dinner. Marie and I are both speaking at the “Nevada Reading Week Conference.” If you ever get a chance to go to this coference don’t miss it. It’s well organized with great speakers. One very cool thing they did was to give everyone a flash drive with all the presenters handouts loaded inside. This saves trees and space. Great idea.